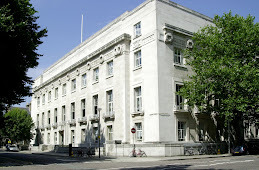 LSHTM Library & Archives Service Blog: Studying at LSHTM? Tell us how we’re doing. Studying at LSHTM? Tell us how we’re doing. The Library & Archives Service is inviting all current MSc, Diploma and Research Degree students studying at the School to give us their views on the services and facilities we provide to support their study, and for suggestions on how we might develop these services for the future. Firstly, we’re seeking feedback online via the Library & Archives Service Student Survey 2013, which takes just 7 to 10 minutes to complete. The survey can be accessed from Monday 4th March at https://www.survey.lshtm.ac.uk/las2013, and will be open until Sunday 28th April. There’s a link to the survey on the LAS homepage, and if you happen to be wandering around the School with your smartphone and come across one of our posters you can also use a QR reader app to scan the QR code and connect to the survey right there and then. We’ll also be holding some follow-up focus groups with students over the next few months where we’ll be exploring some of the themes raised in the survey. Students interested in participating can register their interest via the survey, or by emailing David Archer, Reader Services Librarian. We’ll even throw in a free lunch. Your views about the Library & Archives Service are important. Please share them with us.